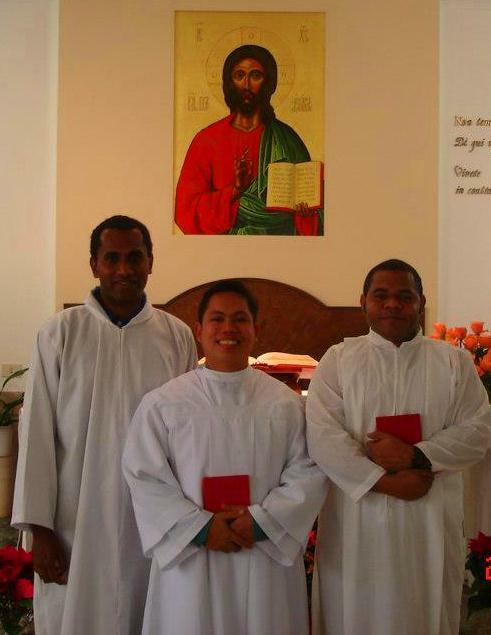 On December 28, 2012, Dindo Calvo and two others: Paul and Xavier from the Province of Oceania renewed their vows for the second time professing the evangelical counsels of chastity, obedience, and poverty. The day itself was the second day of their retreat, which was held at Society of St. Paul Father’s retreat house. Their vows were received by their formator and superior; Fr. John Larsen and being witnessed by Fr. Donato Kivi, the main celebrant and by Fr. Larry Duffy, the Vicar General and retreat master. 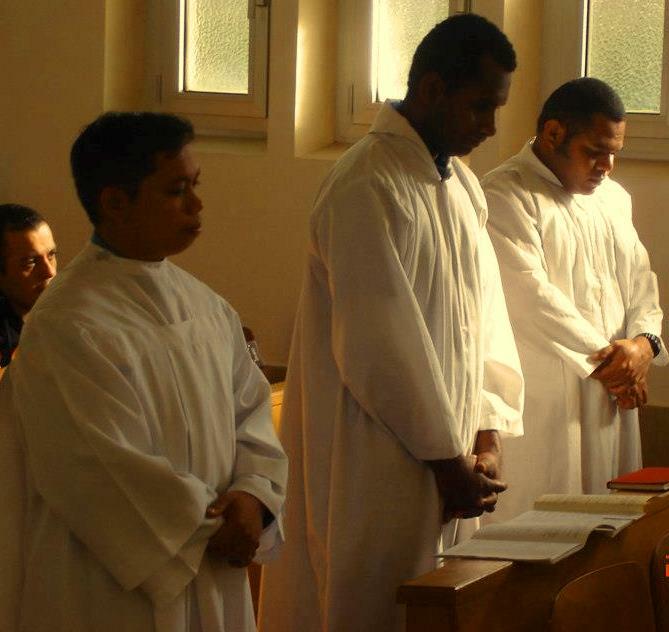 Approaching New Year, the renewal of vows is like a new year to their religious life, giving them invigoration, recommitting themselves and calling them to be faithful. We thank God for the gift of vocation He had given to these young Marists. May they continue to be faithful in living out the Marist life!